Krista Soroka is the author of “Beckoned,” an inspiring journey of faith. 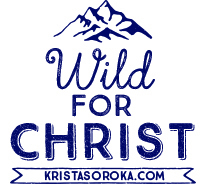 Krista Soroka provides a free daily devotional, Wild For Christ, to encourage people to strengthen their relationship with Jesus Christ. Krista Soroka’s popular blog, Where He Leads, shares inspirational stories, lessons learned and more. I went through a time when I read a lot of Christian books, looking for answers and breakthroughs in my faith. Life is full of all kinds of challenges. My book BECKONED is available on Amazon in both paperback and Kindle! I’ve been out on a wild faith journey the last few years learning to follow Christ, and felt impressed – now more than ever – to do my part by inspiring great faith in our generation. 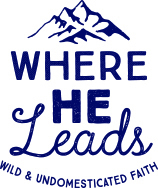 With the Holy Spirit’s leading, we created the book to do just that!